Instances cannot be resolved and nested lifetimes cannot be created from this LifetimeScope as it has already been disposed. Exception Details: System.ObjectDisposedException: Instances cannot be resolved and nested lifetimes cannot be created from this LifetimeScope as it has already been disposed. Once again, the error message doesn’t really help much. 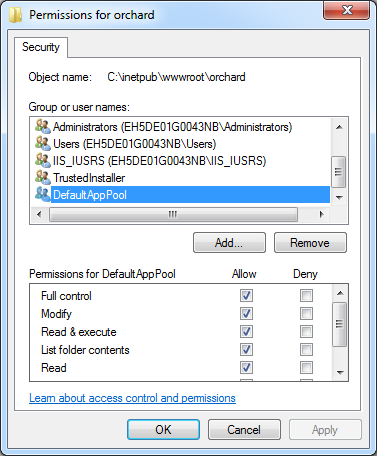 The problem was actually that I had given full access rights for the DefaultAppPool user to the App_Data folder but not to the whole orchard folder. and resent the form, everything worked fine. This entry was posted in Orchard CMS. Bookmark the permalink.